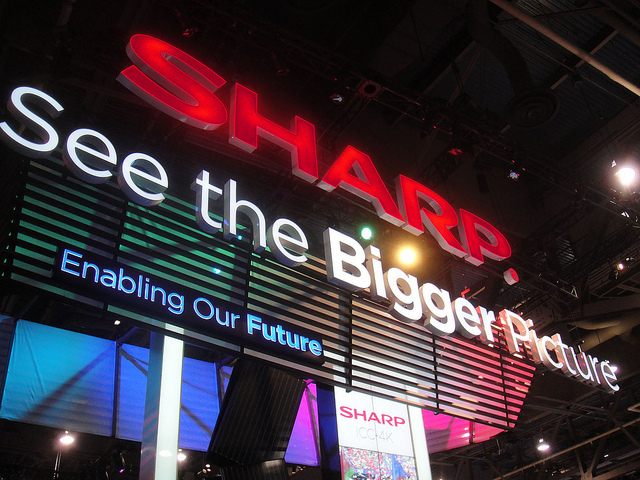 As part of the deal, Sharp and Hon Hai will split revenues 50-50, with Hon Hai procuring up to 50% of “large-size LCD panels and LCD modules” manufactured at Sharp’s panel-making plant in Osaka, Japan. Sharp will utilise Hon Hai components to lower costs and create products that are fit for market. Sony already owns a 7% share in Sharp’s LCD plant, meaning that Hon Hai and Sharp will share 46.5% of the capital. Moving forward, the two companies will combine to stabilize LCD panel plant operation in Sakai and use the purchasing power of Hon Hai to strengthen its “cost competitiveness” in the LCD panel and LCD TV markets. It’s an interesting development for Sharp, a company that is reported to be supplying display panels for Apple’s new iPad tablet. With Hon Hai’s Foxconn handling the assembly of the new iPad, the deal is set to help both companies increase production, lower costs and improve its efficiency so that it can compete with Samsung and LG for iPad orders.